How will revising the GDP help our Economy? According to the definition provided by Organization for Economic Co-operation and Development (OECD), Gross Domestic Product is the costs on final goods and services minus imports at market prices: final consumption expenditures, gross capital formation and exports less imports. Ideally, GDP can be calculated in three different methods: production approach; expenditure approach and income approach. However, in order to determine real GDP price changes must be taken into account to ascertain whether the value of output has increased because more is being produced by the country or because the prices have gone up. Though economists consider GDP as a very essential tool to indicate the health of an economy, it still has its shortcomings, one of them being that it doesn’t indicate the standard of living of a country. In India, the production approach of calculating GDP is followed wherein, the economy is broken down into different sectors for example agricultural sector, mining sector, trade, construction, community services, etc. The new government announced its decision to revise the manner in which GDP in India was being calculated so as to incorporate under-represented and informal economic sectors in September 2014. Before this, the base year that was being taken was 2004-05 which was raised to 2011-12. In March 2010, when India last a revision of a similar nature, annual economic growth estimates increased by 0.8 to 1.7 percentage points for four years, allowing the previous government to take full credit for the country’s economic growth. So far, India’s GDP was calculated at basic cost which took into account the prices of products received by producers. The new formula for calculation takes into account the market price of the products as paid by the consumers which is in line with the international approach that has been adopted and followed. Following the change in base year and inclusion of under-represented and informal industries in the calculation, India’s GDP grew at the rate of 6.9% instead of 4.7% in the year 2013-14. Therefore, India is expected o grow at 6.6% as against 5.5% that was predicted earlier. It has been reported that India’s quarterly growth, as analysed by the change in statistics, is bound to outpace China’s quarterly growth of 7.3%. However, the change in the statistics came as a shock to a number of economists who did not hesitate in stating that Indian statisticians have miscounted. “When they generate such a ridiculous outcome, they need to go back and find out what could potentially be wrong in the data set,” said Chetan Ahya, Chief Asia Economist at Morgan Stanley. An enormous share of the country’s output is produced by individuals and small enterprises that don’t pay taxes and aren’t registered with the government. These curb-side barbers, neighbourhood motorcycle repairmen, pushcart fruit vendors etc. account for two-thirds of India’s nonfarm workforce. That amounts to 150 million people, more than the population of Japan. Under the new calculations, the Indian economy expanded 7.5% year-on-year during the last quarter, which is higher than 7.3% growth recorded by China in the latest quarter. The new estimate is abruptly higher than the Reserve Bank of India’s (RBI) growth projection of around 5.5% for the year under the old method. The change has left economists perplexed as it is at odds with other parameters such as industrial production, trade and tax collection figures, which suggest the economy is still suffering from slack. The revisions have enhanced the size of nominal GDP which would suggest a smaller current account deficit and a healthier fiscal position. But this doesn’t seem to be the case. Te fact is, nominal GDP in 2013-14 is almost equal under the new approach as under the old one (a difference of 0.1%). However, if these growth rates are indeed correct, this implies that there is much less slack in the economy than initially believed. This would, at least theoretically, limit the scope for policy loosening. The revisions are also hard to square with other indicators directing to continued slack in the economy. Even if industrial production data- which presumably now also need rebasing – is discarded, survey data shows that capacity utilization is low. For instance, vehicle sales have reduced by nearly 7% in the past fiscal year. The revisions also jar with changes in the current account deficit, which narrowed sharply in FY 13-14. It is exceptionally rare for an economy to record such a sharp pick-up in growth even as domestic demand slowed so dramatically. Given the shortage of data for this financial year, and because the key ratios like the current account deficit won’t have changed, the repercussions on the market should be comparatively small. This statistical fog might prove to be a problem for our Finance Minister, Mr. Arun Jaitley while he drafts the financial budget for the financial year 2015-16. He is likely to increase capital spending and offer tax breaks to the under-performing manufacturing sector and hence play a very crucial role in lifting the economy out of a huge pothole. OECD (2015), ‘Gross domestic product (GDP) (indicator)’ <10.1787/dc2f7aec-en> accessed on 20 February 2015. Raymond Zhong, ‘New fine print shows how India radically changed the way it measures GDP and outpaced China’ The Wall Street Journal (18 February 2015) <http://blogs.wsj.com/indiarealtime/2015/02/18/new-fine-print-shows-how-india-radically-changed-the-way-it-measures-gdp-and-outpaced-china/> accessed 19 February 2015. <http://www.dw.de/what-does-indias-gdp-revision-mean-for-its-economy/a-18231877> accessed 20 February 2015. 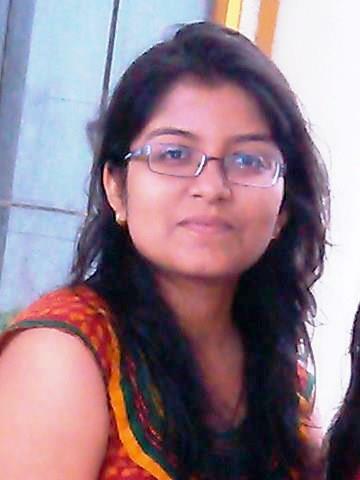 Soumya Tiwari is pursuing her B.A. LL.B. (Hons.) degree from Dr. Ram Manohar Lohiya National Law University, Lucknow and is currently in her third year. Her areas of interest are substantive criminal law and intellectual property rights law. She has a keen interest in research work and has been adjudged as the best researcher at the 7th edition of GNLU International Moot Court Competition, 2015. In her free time, she loves to read and is passionate about singing. She is currently interning with the Model Governance Foundation. Previous Post Party Funding: An Anathema to Democracy? Next Post Motor Vehicle Agreement: A Path-Breaking Endeavor for SAARC Nations?